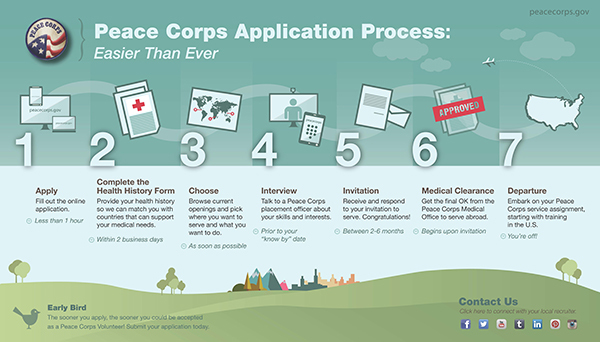 Following up Dogeli’s first post – here are 9 tips about about applying for Peace Corps volunteer opportunities. 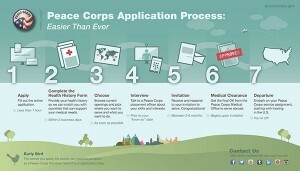 Many of these tips can be applied to any job search! Remember to send a thank you note to whoever interviews you. The small detail leaves a lasting impression! Perkins Loans offers to cancel a certain percentage off your loan for every year you serve and other loans may be eligible for deferment until the end of your service. Inquire about them all! Lastly, do not be discouraged if it takes months before you hear or receive anything from them – they take their time because they are thorough. It took me 4 months to get an interview and 6 months for an invitation. Remember that. Great insight Dogeli! Good luck in Zambi!